The majesty of Middle-Earth is brought to life as never before in a stunning guide to the landscapes and creatures that form the backdrop to The Hobbit and The Lord of the Rings. Take an incredible journey into a realm of magic and danger, meeting great heroes, stout-hearted warriors and humble but courageous hobbits. 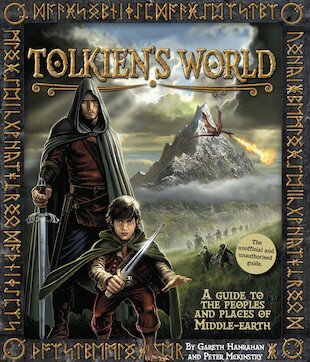 Travel through a landscape of wonders, from the rolling hills of the Shire to the bleak ash plains of Mordor. Discover the untold secrets of a world where elves roam enchanted forests and dragons slumber in dark caverns! Brimming with dramatic colour pictures, family trees, character profiles and story summaries, this overview of Tolkien’s magnificent fantasy world is a treasure for fans to cherish.